Welcome on the PA7N site! 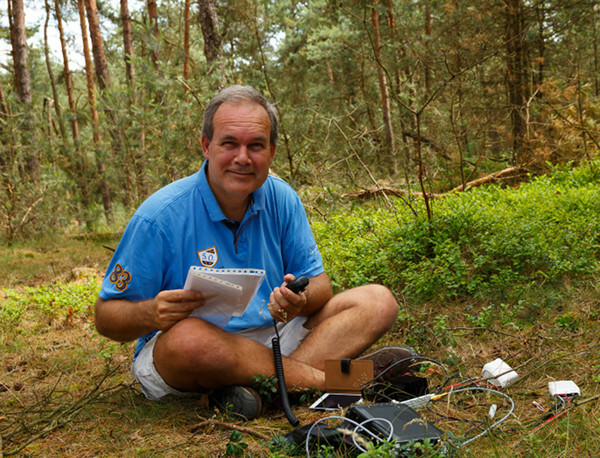 Hello, my name is Erwin and this site is about amateur radio. I am a ham radio amateur since 1985! My QTH is Nes near Akkrum/Leeuwarden. The province Friesland in the north of the Netherlands. My locator is JO23wb. 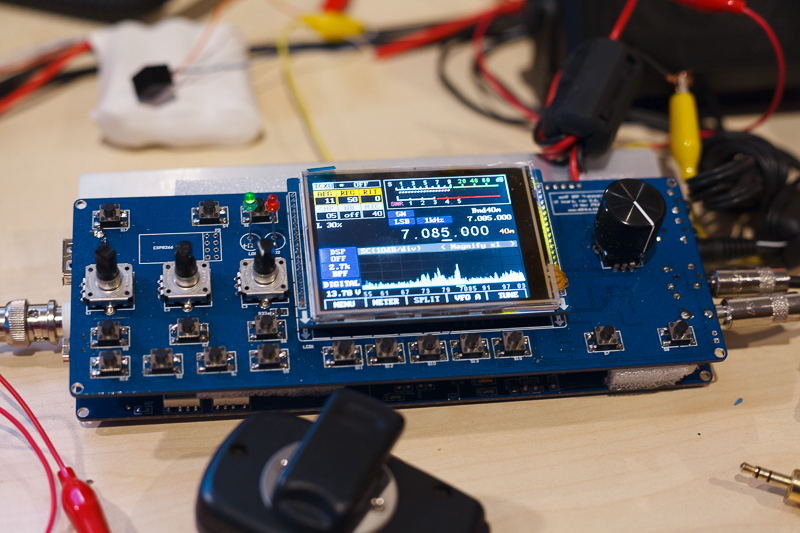 Things I like in amateur radio: HF, QRP, QRP-kits, CW, antennas, antenna tuners, homebrew, microcontrolers, software development, Linux, 6 meter DX, Software Defined Radio, DSP, old tube transmitters, SOTA (Summits On The Air) and being /P or /MM. My main transceiver is a Yaesu FT-450D but i'm also using the QRP mcHF SDR a lot. I have a 2 x 7m dipole antenna on the roof. I use a DX wire fibreglass pole to create a vertical antenna for 40m and higher bands. I like experimenting with antenna's. Please do leave a message in the guestbook or send me an e-mail. My email address erwin (at) pa7n (dot) nl. A few weeks ago I ordered a new transceiver. The mcHF. It's a SDR QRP HF transceiver. It's a kit. There are two kinds of kits. One with all pcb's and components and one with the SMD components already placed on the pcb. I ordered the kit with all SMD components already placed on the PCB. After a few hours of building the transceiver was ready for the smoke test! It worked. No smoke. There was only one push button that caused the transceiver to power off. After some searching I found a short between two pins of the mpu. The mcHF worked perfectly after fixing the short. There was just one thing that concerns me. In receive mode the current was 410 mA at 13.8V. The linear regulators where getting very hot. I mounted them on a heatsink but they where still getting very hot. Most of the current is draw at the 5V regulator that is in serie with the 8V regulator. The current at the 8V line was only about 16mA. So if you multiply 0,410 x (13.8-5) is about 3,6 Watt of heat disipation. The transceiver itself uses only about 2 Watt (0,410 x 5 V) . So why not replace the 5V linear regulator with a switched regulator? Noise?!? I bought a drop-in switched regulator (Wurth 5V/1A Farnell: 173010578) and connected it with a few wires to the mcHF board. It worked. The current dropped to 163 mA. (That is less then a KX3!) After connecting a dummy load there was no increase in noise. So that looks good. I still have to build it in the mcHF enclosure and find out if there is still no increase in noise. But so far so good. 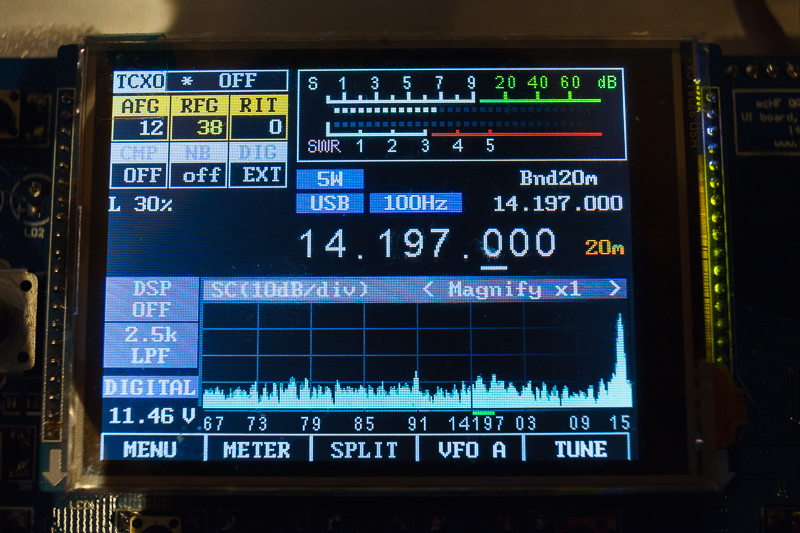 The mcHF is now a really cool transceiver! It is not a simple modification as a simple drop-in replacement. 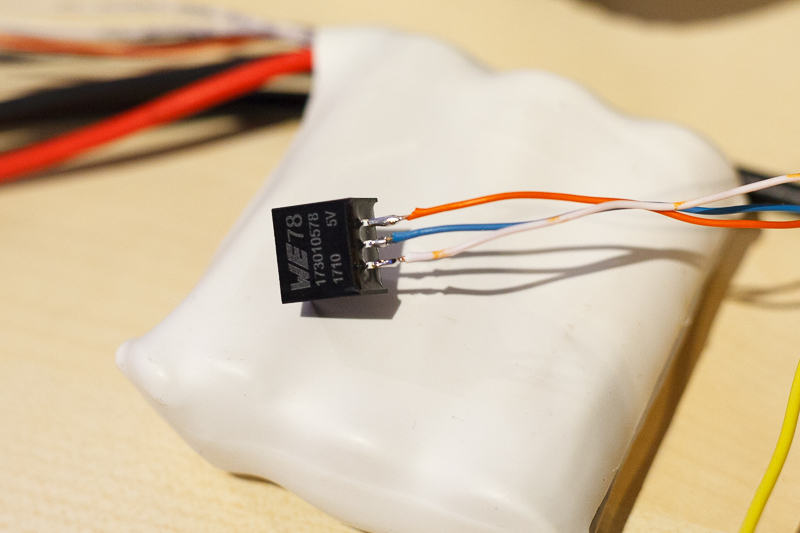 The thing is you want the input of the switched regulator connect to the DC power input (12-13.8V) of the mcHF not to the 8V regulator. If you do that the 8V regulator still heats up and the improvement is minimal. But if you connect to the DC input there is no way to turn the mcHF off. I think I need something with a pnp transistor to switch the 5V rail off when the 8V rail is off. So back to the linear regulators. At least I have something to warm my hands on a cold SOTA summit. you've made a great mod! 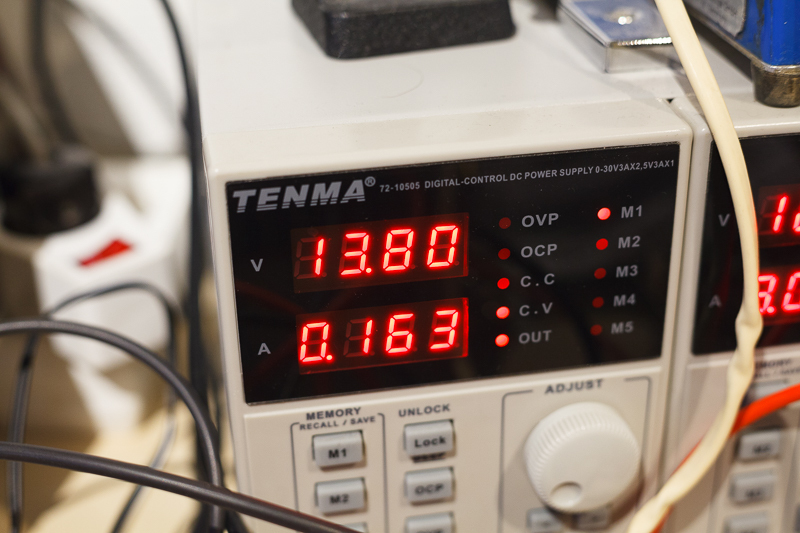 To turn 5V off consider using power P-Mosfet. Inderdaad een geweldige verbetering, als het inderdaad geen problemen geeft met extra ruis of "spurious". Je hebt de regulator nog op enige afstand liggen zie ik op het plaatje., maar het is veelbelovend. Ik heb hier in de junkbox ook zo'n ding liggen zo te zien is het dezelfde,, het is een 78ST105VC van Power Trends,, ik zal de datafile eens opzoeken..
Het in-/uitschakelen moet toch op de een of andere manier op te lossen zijn via het ON/OFF signaal van de LM2941, in de junkbox heb ik ook nog wat power fetjes liggen.